Sometime in 1997 I was asked: "Who and when was the Enchilada created (invented). As the questioner wanted a definitive answer I had to do a lot of research, both on and off the internet. After years of exhaustive, pains taking research, here I articulate the definitive, authoritative and ONLY possible explanation for the development of the Enchilada. A. - Just how do you mean this? Authoritatively, as the name of the person who invented it? Chronogically, as to date? And do you want the Exact Day and Time? What original ingredients were used? Where they homemade or from a restaurant? 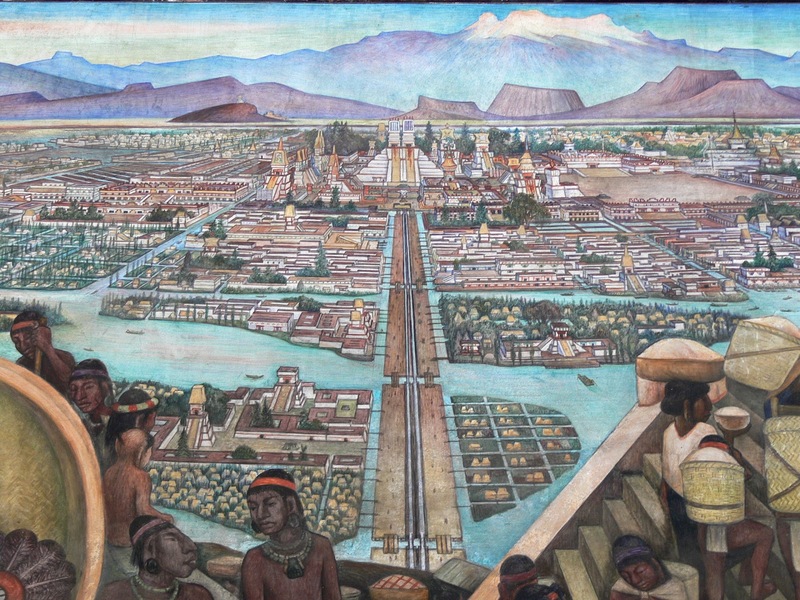 I have an oral history of this, given to me personally, by Montezuma's scribe: Xochitl Tonantzin. Montezuma, King of the Aztecs, is hungry. 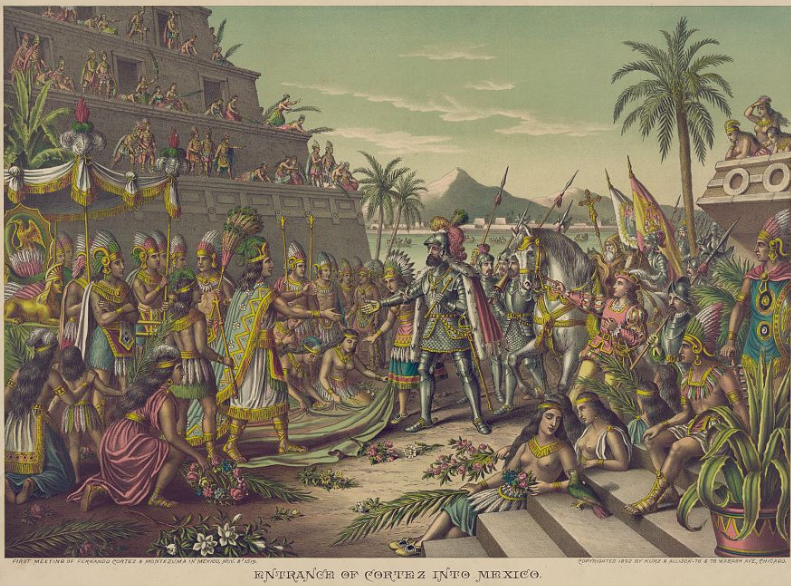 He had just arrived home from Tenochtitlan (a long walk in those days) and a long day of political meetings, beheadings, poc ta poc and taxing his fellow countrymen out of their hard earned work, greeting the Spaniard Hernán Cortés, etc.. Exhausted, he lies down on his divan of Quetzacoatl feathers. Some serving wench brings in a cup of pulque and he starts to relax. Then, being hungry, he commands his Royal Chef, Txaxtpopitlan, to whip him up something special, as Cortés was invited to dinner. The Chef, not wishing to lose his head (Montezuma could be a real grouch when hungry), found a tortilla, some beans and chiles and a little leftover turkey. Actually, the Palace had purchased too much chilmole and the Chef had to use it up quickly before it went bad and he had to throw it out. For, if the accountant-bean counters found out, again he feared his head would be lopped off. He fried the tortilla in some pig fat. (That's lard to the food snob.) 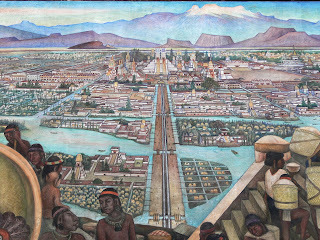 Pigs were new to the Realm of Aztecs, as they had just come over from Europe with Cortés. The Chef rolled the turkey up in it and poured the salsa on top. This, Montezuma pronounced "Enchilada", a Spanish compound word, meaning something (ada) drenched (en) in chile sauce (chil). I believe this was around dinner time, November 8th, 1519. Dinners are served late in Mexico so that would be about 11:00 p.m., your time. Hey, Cortez - How About An Enchilada?